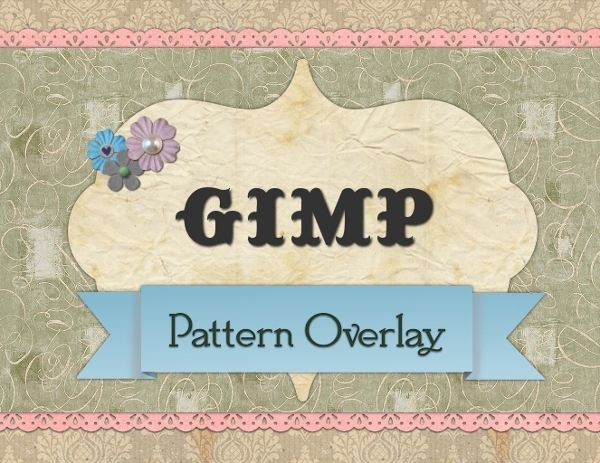 In this tutorial we discuss clipping masks and pattern overlays using the free and open source – gimp image editing program. Well, I had a hard drive failure on my work desktop over the weekend. While I’m waiting for a new one. I have migrated to the kitchen computer, which is running Ubuntu Linux. I figured that it would be nice to post some simple gimp tutorials, so here ya go! Note: These images have been resized in this tut. 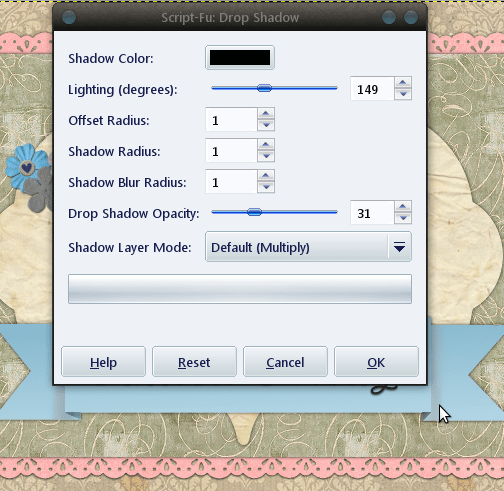 Click on Pattern layer and delete with delete key, then reorganize layers or hide your mask. This will require installing an add on Called “Fx Foundry Scripts Pack” from the Gimp Plugins Registry. Tp directly download from Source Forge, go here: Fx Foundry Scripts Pack. To install, unzip the folder>open>select all>copy, then paste the .scm files in the gimp scripts folder. 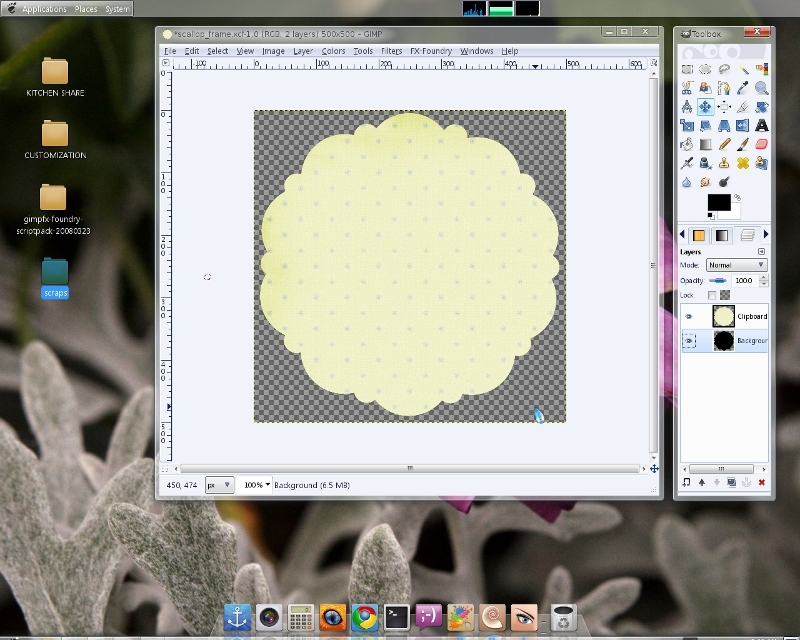 This path will differ depending on which operating system you are using.Linux: Path: /home/(username)/.gimp-2.6/scripts. You will need to set your window to view hidden files or hit control-H.
Windows: Path: C:Program Files or C:Program Files (x86) if you are running a 64 bit operating system. 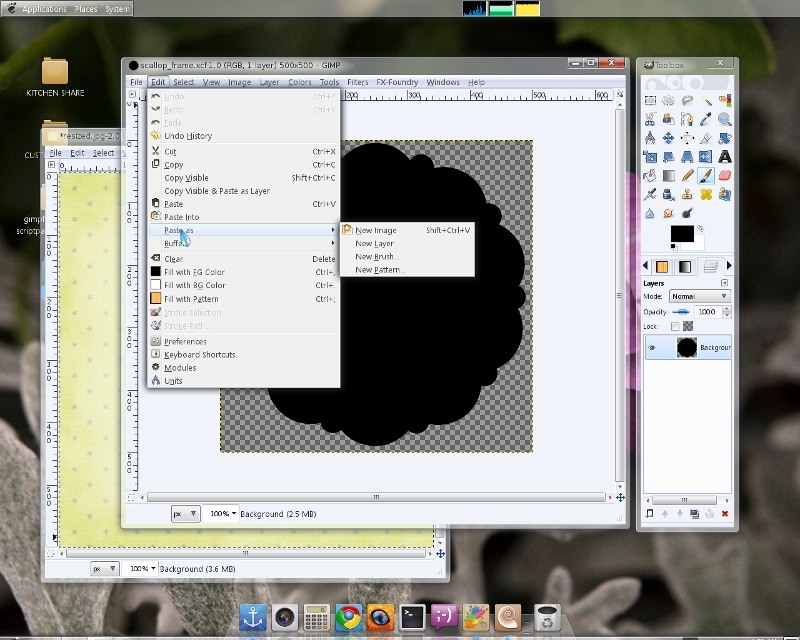 Once you install and launch gimp, you should see a new menu entry called “Fx-Foundry” at the top. Note: Look for sets that contain tileable images. You will not be able to use .pat files without converting them, which would require yet another tutorial! 🙂 Some DA artists will include the image files along with the .pat in the zip. Patterns Installation: Patterns go into the patterns folder within your gimp installation. Browse the same path listed above to navigate to “patterns” instead of “scripts”. 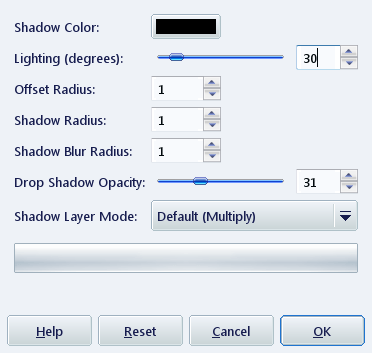 Open up a mask/overlay template in gimp. 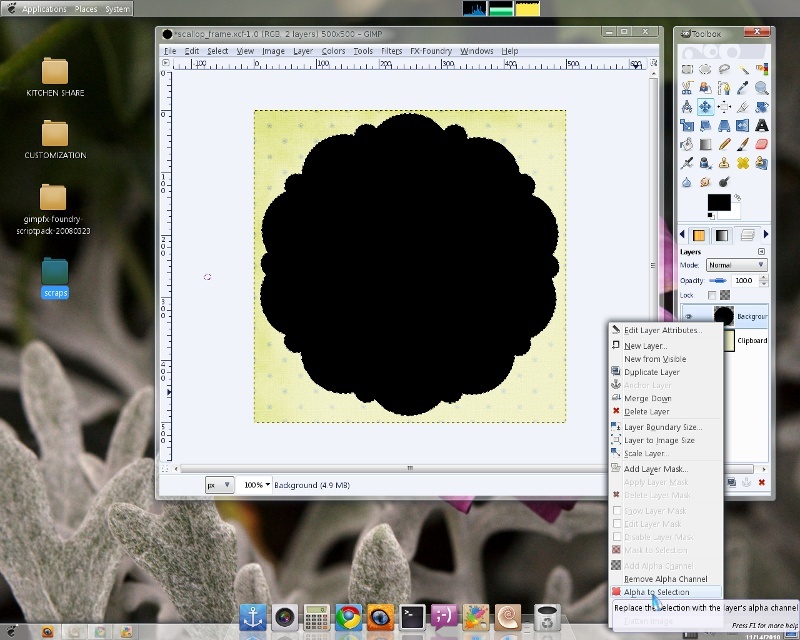 It’s a good idea to save the document in a layered format, either gimp’s native .xcf or .psd. I have used a lace edge mask template from pixeled memories. Mine is doubled in width and resized. If you would like to download a copy, you may grab it here. Note: You may be able to just click on the lace (or overlay) layer in your layers palette, and go to Fx-Foundry>Layer Effects>Pattern Overlay. I did have issues with it when doing an overlay with an image that’s not square. Try that first in your experimentations to see if it works for you. Sometimes it works, sometimes not – depending on what overlay I am working with. It won’t damage your base overlay layer, as it creates a new pattern layer on top. Create a new layer and give it a name, then select the paint bucket tool & fill the layer. With that layer selected in the layers panel, go to Fx-Foundry>Layer Effects>Pattern Overlay. Browse to choose desired pattern. Next right click on your ribbon or mask layer and select “alpha to selection”, then select>invert from the file menu above. Select the pattern overlay layer and hit the delete key and then select>none. For the original layer that was filled with the paint bucket, you will need to either delete or hide visibility with the eye icon in the layers palette. Why Clipping Masks tutorial that i make is not suceess?? Is your layer not deleting the inverted selection? If so it may be the base layer. Try creating another layer to see what it does. You can hide all of your other layers temporarily by clicking on the eye icon in the layers palette. Thanks to share the excellent site. The only thing listed in my "layer effects" is "apply mirrors" and "Horton effects." Please advise. 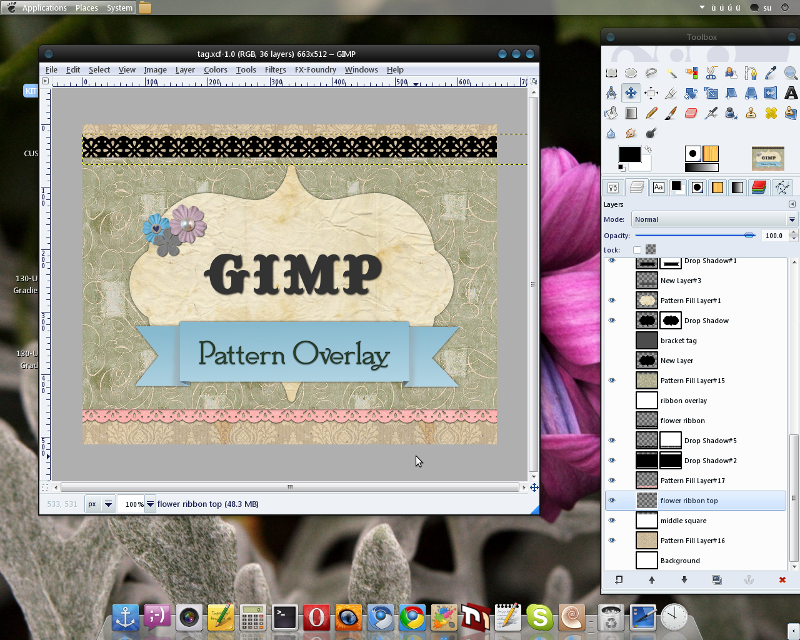 It appears that gimp FX foundry stopped development at gimp version 2.6. If you're looking to do the alpha to selection, once you've selected object > it's layer>transparency>alpha to selection. When that's done, add a new layer and just use the bucket fill with pattern instead of color.